Scott M. Fischer created over 40 beautiful ink drawings for the US edition of the only authorized sequel to J. M. Barrie's Peter Pan, Peter Pan in Scarlet by Geraldine McCaughrean. Why silhouettes? Scott said, "They were the perfect solution. They have a timeless look that will not be out of place with the first books and, more importantly, they leave a lot up to the imagination of the reader -- with an icon like Peter Pan, that's a great thing. 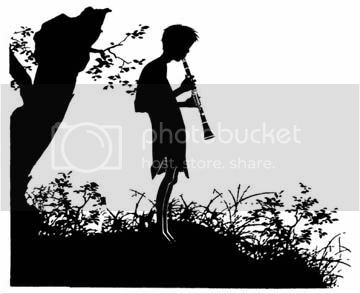 Silhouettes are also a nod to Arthur Rackham, the coolest Pan illustrator of all! His Cinderella book was a true inspiration to me." The book is due out October 5th from Simon and Schuster. I'm looking forward to posting more images once the book is released. I like a game which you need use flyff penya to play. If you want to be online to play this game, I can borrow flyff moneyto you. When you have flyff gold, and than you can go on this game. Of cause, when you are first to play, you can buy flyff penya. If you have enough cheap penya, you will be able to different games. I knew the Metin2 gold so I always try my best to earn them more and more to make myself strong. I have never played the game before, at the beginning I did not know what is so I went to kill the monsters with the Metin2 yang that I earned with myself in the game. I will duty bound to a friend to help brush the Cheap metin2 yang together with my friends. I spend a good relationship is then fly to tears. If my levels are very high, I can go to Buy metin2 gold more and more and I will not depend on my friends to help me to earn them. I get some Cheap metin2 gold as the gifts to encourage me.